An Illinois man pleaded guilty today to money laundering conspiracy, joining six other defendants who recently pleaded guilty to conspiracy charges for their roles in liquidating and laundering victim payments generated through a massive telephone impersonation fraud and money laundering scheme perpetrated by a network of India-based call centers responsible for defrauding U.S. residents of hundreds of millions of dollars. Acting Assistant Attorney General Kenneth A. Blanco of the Justice Department’s Criminal Division, Acting U.S. Attorney Abe Martinez of the Southern District of Texas, Acting Deputy Director Peter T. Edge of U.S. Immigration and Customs Enforcement (ICE), Inspector General J. Russell George of the U.S. Treasury Inspector General for Tax Administration (TIGTA) and Inspector General John Roth of the U.S. Department of Homeland Security Office of Inspector General (DHS-OIG) made the announcement. Miteshkumar Patel, 42, most recently residing in Willowbrook, Illinois; Sunny Joshi, 47, of Sugar Land, Texas; Jagdishkumar Chaudhari, 39, of Montgomery, Alabama; and Rajesh Bhatt, 53, of Sugar Land, each pleaded guilty to one count of money laundering conspiracy. Raman Patel, 82, of Gilbert, Arizona; Praful Patel, 50, of Fort Myers, Florida; and Jerry Norris, 47, of Oakland, California, each pleaded guilty to one count of conspiracy to commit fraud and money laundering offenses. The pleas were entered before U.S. District Court Judge David Hittner of the Southern District of Texas between Sept. 22 and Nov. 13, except for Raman Patel’s plea, which was entered before U.S. District Court Judge Michelle Burns in the District of Arizona on Nov. 6. Six of the men have been in federal custody since their arrests in October 2016 and will remain detained until their pending sentencing dates. According to admissions made in connection with their pleas, Miteshkumar Patel, Raman Patel, Joshi, Jagdishkumar Chaudhari, Bhatt, Praful Patel, Norris and their co-conspirators perpetrated a complex scheme in which individuals from call centers located in Ahmedabad, India, impersonated officials from the IRS and U.S. Citizenship and Immigration Services (USCIS), and engaged in other telephone call scams, in a ruse designed to defraud victims located throughout the United States. Using information obtained from data brokers and other sources, call center operators targeted U.S. victims who were threatened with arrest, imprisonment, fines or deportation if they did not pay alleged monies owed to the government. Victims who agreed to pay the scammers were instructed how to provide payment, including by purchasing general purpose reloadable (GPR) cards or wiring money. Upon payment, the call centers would immediately turn to a network of “runners” based in the United States to liquidate and launder the fraudulently obtained funds. 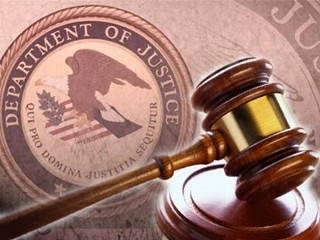 To date, Miteshkumar Patel, Raman Patel, Joshi, Jagdishkumar Chaudhari, Bhatt, Praful Patel, Norris, 49 other individuals and five India-based call centers have been charged for their roles in the fraud and money laundering scheme in an indictment returned by a federal grand jury in the Southern District of Texas on Oct. 19, 2016. Including the pleas announced today, a total of 24 defendants have pleaded guilty thus far in relation to this investigation. Defendants Bharatkumar Patel, Ashvinbhai Chaudhari, Harsh Patel, Nilam Parikh, Hardik Patel, Rajubhai Patel, Viraj Patel, Dilipkumar A. Patel, Fahad Ali, Bhavesh Patel, Asmitaben Patel, Montu Barot, Nilesh Pandya, Dipakkumar Patel, Nisarg Patel, Rajesh Kumar, and Dilipkumar Ramanlal Patel previously pleaded guilty on various dates between April and September 2017. Miteshkumar Patel is scheduled to be sentenced on March 7, 2018. The remaining defendants are presumed innocent until proven guilty beyond a reasonable doubt in a court of law. ICE – Homeland Security Investigations, DHS-OIG and TIGTA led the investigation of this case. Also providing significant support were: the Criminal Division’s Office of International Affairs; Ft. Bend County, Texas, Sheriff’s Office; police departments in Hoffman Estates and Naperville, Illinois, and Leonia, New Jersey; San Diego County District Attorney’s Office Family Protection and Elder Abuse Unit; U.S. Secret Service; U.S. Small Business Administration, Office of Inspector General; IOC-2; INTERPOL Washington; USCIS; U.S. State Department’s Diplomatic Security Service; and U.S. Attorneys’ Offices in the Middle District of Alabama, Northern District of Alabama, District of Arizona, Central District of California, Northern District of California, District of Colorado, Northern District of Florida, Middle District of Florida, Northern District of Illinois, Northern District of Indiana, District of Nevada and District of New Jersey. The Federal Communications Commission’s Enforcement Bureau also provided assistance in TIGTA’s investigation. Senior Trial Attorney Michael Sheckels and Trial Attorney Mona Sahaf of the Criminal Division’s Human Rights and Special Prosecutions Section (HRSP), Trial Attorney Amanda Wick of the Criminal Division’s Money Laundering and Asset Recovery Section, and Assistant U.S. Attorneys S. Mark McIntyre and Craig M. Feazel of the Southern District of Texas are prosecuting this case. HRSP’s Ann Marie Ursini and Assistant U.S. Attorney Greg Kennedy of the Eastern District of Louisiana prosecuted the naturalization fraud case against Joshi.